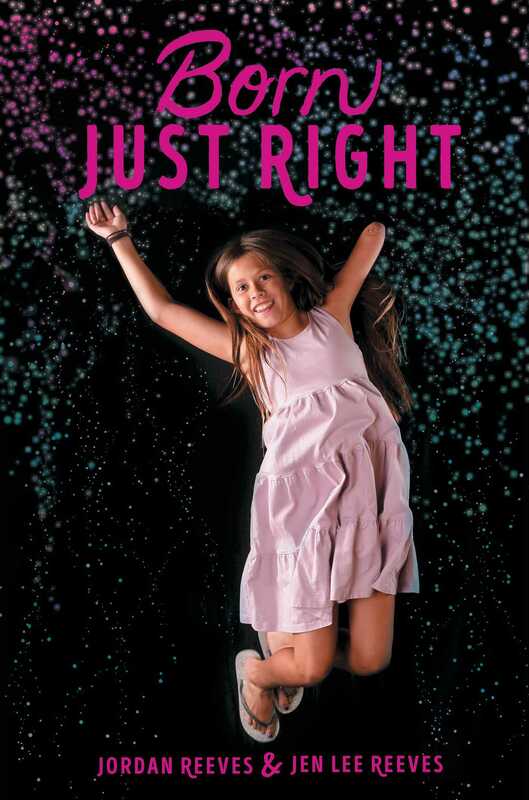 From tween advocate for limb difference and founder of Project Unicorn Jordan Reeves and her mom, Jen, comes an inspiring memoir about how every kid is perfect just the way they are. When Jordan Reeves was born without the bottom half of her left arm, the doctors reassured her parents that she was “born just right.” And she has been proving that doctor right ever since! With candor, humor, and heart, Jordan’s mother, Jen Lee Reeves, helps Jordan tell her story about growing up in an able-bodied world and family, where she was treated like all of her siblings and classmates—and where she never felt limited. Whether it was changing people’s minds about her capabilities, trying all kinds of sports, or mentoring other kids, Jordan has channeled any negativity into a positive, and is determined to create more innovations for people just like her. Her most famous invention, aptly called Project Unicorn, is a special prosthetic (that shoots glitter!) made with the help of a 3-D printer. A real-life superhero, Jordan is changing the world with her foundation, Born Just Right, which advocates and celebrates kids with differences, and helps them live their best possible life—just like Jordan is today! Jordan Reeves was born just right, and cofounded a nonprofit with the same name. Ever since she was little, this teen has pushed through any expectations and proved she can do anything (except monkey bars). Through her activities and opportunities to speak and mentor other kids with limb differences, Jordan is helping change attitudes around physical differences. Jordan is currently changing what we think of as a superhero and by designing a body enhancement. Her ideas include a 3-D printed prosthetic that allows her to shoot sparkles for her alter ego, Girl Blaster. Jordan has shown off her work on The Rachael Ray Show, MakerFaire, TEDx, and many other events across the country. Jen Lee Reeves is the founder and executive director of Born Just Right. She’s also a mom to Cameron and Jordan. She and her husband, Randy, have learned so much about what it takes to advocate for our children and how powerful it can be when parents work together in advocacy and support in the world of disability. When she isn’t working for Born Just Right, she’s a social media strategist and training consultant with her own consultancy. She also taught at the Missouri School of Journalism and managed an NBC affiliate newsroom. To relax, Jen loves to travel, enjoy sunrise runs in new cities, take photos of the lake in her backyard, and enjoy music and good food with the family.